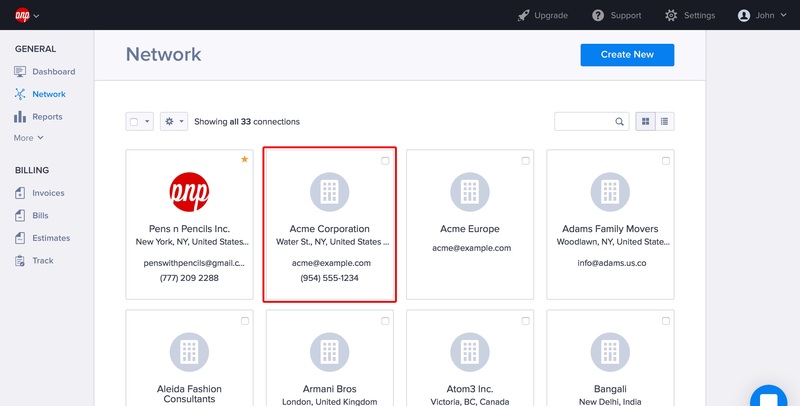 To do so, head to the Network section, and select the connection. 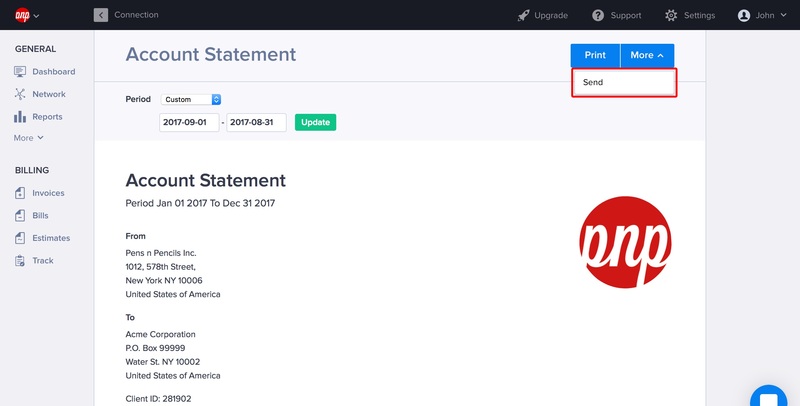 Under the More menu of that connection, select View Account Statement. 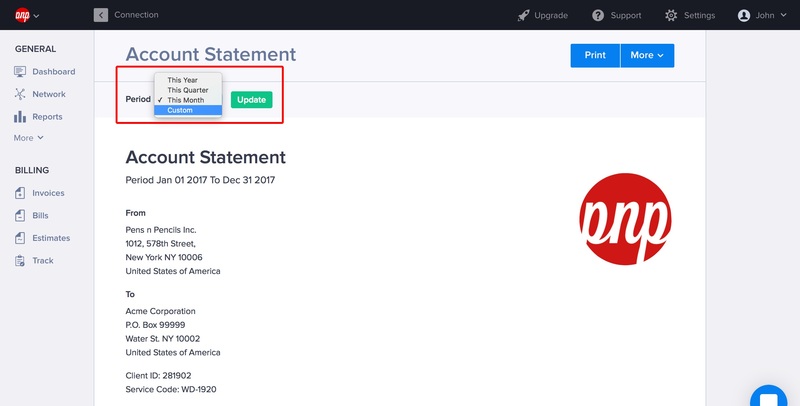 You can select the period for the statement, or even set your custom date range. 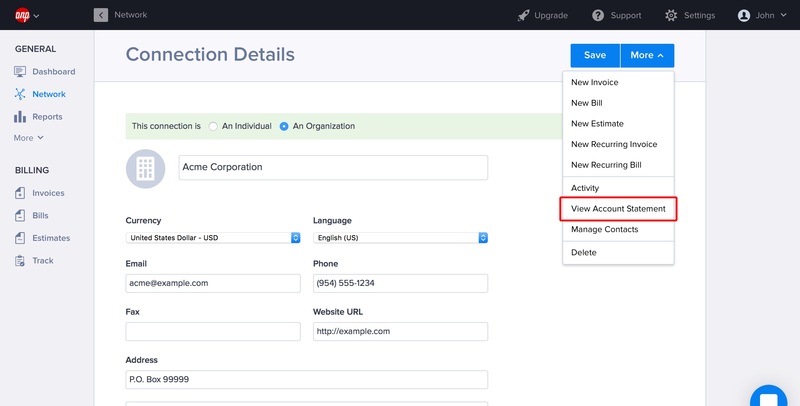 To share the account statement with the client or vendor, select Send from the More menu.